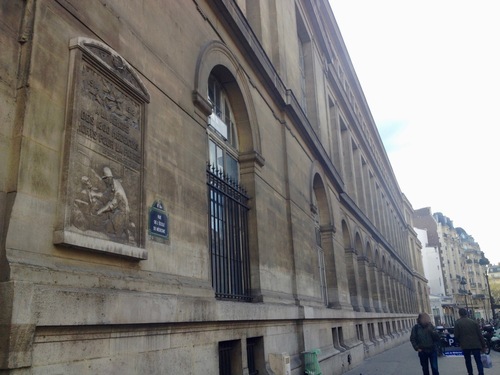 This bas-relief memorial tablet dedicated to the 1800 French physicians fallen during the first World War can be seen on the front of the medical school of the Université Paris Descartes in Paris (15 Rue de l'École de Médecine). The monument was made by French sculptor Léon-Alexandre Blanchot (1868–1947), who also signed works as Ivan (or Yvan) Loewitz. 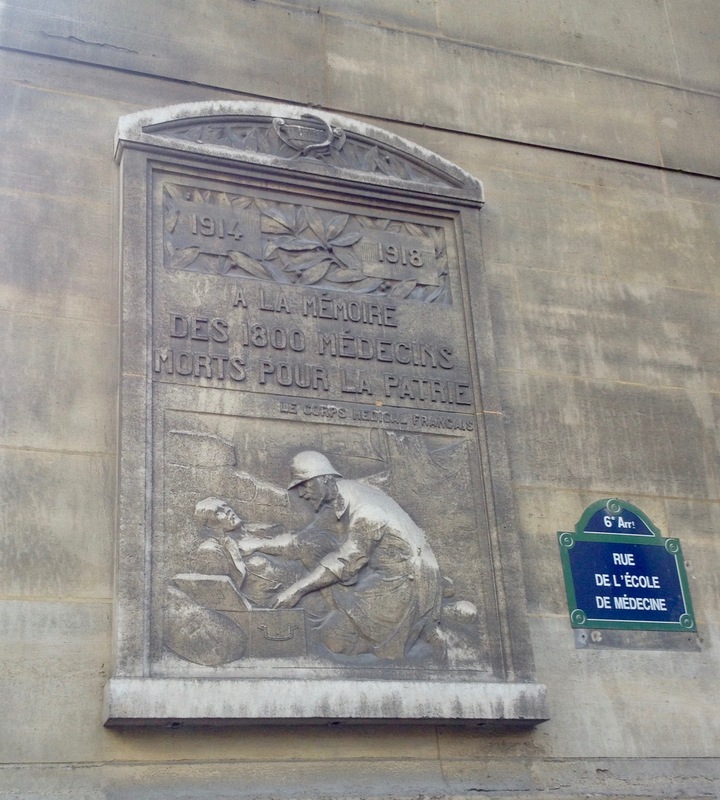 The French inscription reads as follows: "1914 - 1918 / A LA MÉMOIRE / DES 1800 MÉDECINS / MORTS POUR LA PATRIE / LE CORPS MEDICAL FRANCAIS". Christian Hottin, Quand la Sorbonne était peinte, Paris, Éditions Maisonneuve et Larose, 2001, p. 157. Thank you for the clarification. I have already added this new information to the main text!